Jon Ratcliffe's Blog: The Metroland Effect on Swindon's Housing? The Metroland Effect on Swindon's Housing? How much extra monetary value would you put on making your commute shorter? If your journey to and from work could be reduced by 5 or 10 minutes, how much value would you put on that? That's an extra 10 minutes eating breakfast, or an extra 10 minutes talking face-to-face to your family, or an extra 10 minutes asleep! 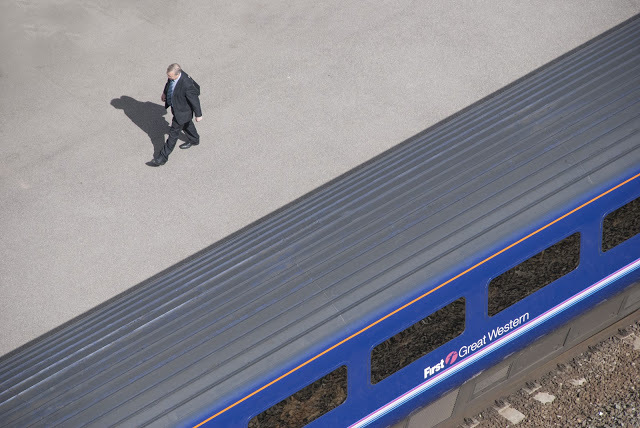 The value placed on the time saved through the reduced journey times between London and Bristol with the Great Western Main Line upgrade is expected to be millions added to the collective value of houses in the city. A cut of 20 minutes on the journey time will save commuters more time and increase the attractiveness of Bristol and in the same upgrade, Swindon should come down to the 45 minute journey time mark (this is a modest estimation based on the speed and length of the route, under 45 minutes would be possible with a recasting of the timetable). You could leave a workplace in London, travel to Swindon and be in your home within the hour, what an opportunity! Notes : Metroland was the name given to the areas of the expanded Metropolitan Railway north west of London which was heavily tied and influenced by housebuilding and essentially created the modern definition of commuting.